High-end home buyers are turning cautious, according to an article in The Wall Street Journal (WSJ). The publication also stated that this will prove to be a big blow to lenders that centered their mortgage businesses around wealthy borrowers in the years after the financial crisis. Given the volatility of circumstances, high-end clients were considered a safe option. 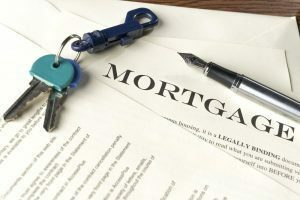 However, recent data shows that originations for jumbo mortgages, typically loans too big to be sold to Fannie Mae and Freddie Mac dropped to 12 percent in the last year—which has far outpaced the 7 percent decline in mortgages that meet the requirements for the agencies’ government backing—according to the article. Citing data from Inside Mortgage Finance, WSJ said that there were $281 billion in jumbo originations during last year, a decline by 27 percent from its peaking point post-crisis in 2016. The sharp drop can be attributed to ow refi volumes as jumbo business comprises a considerable amount of refinances. Even the slightest drop in refinance will have a significant impact on large payments, WSJ noted. Add to that the signs of a slowdown in the economy and tax laws that reduced incentives for home purchases. This further exacerbates the already stifled jumbo market. Speaking of home price appreciation, the article stated that it is slowing with the high end of the market taking a massive blow. The listing price for a third of the most expensive homes increased by a mere 6 percent the previous year, while the middle third rose 9 percent and the bottom third rose 16 percent, the article stated. 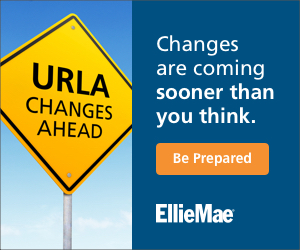 WSJ also indicated that Bank of America and Union Bank—both financial institutions that deal with jumbo activity—are renewing their focus on smaller loans. Several other lenders are undeterred despite the jumbo market’s backslide, WSJ stated. The article indicated that there are “few signs banks are changing tack and are becoming more competitive, according to industry watchers.” WSJ also said that banks tend to keep jumbo loans on their balance sheets rather than selling them to investors. This means they can offer lower rates without worrying about whether that will make the loans less attractive to investors.